Not just the first flowers of the season, either. Our first ever Dahlia flowers, courtesy of tubers that we bought from J. R. G. Dahlias back in March. 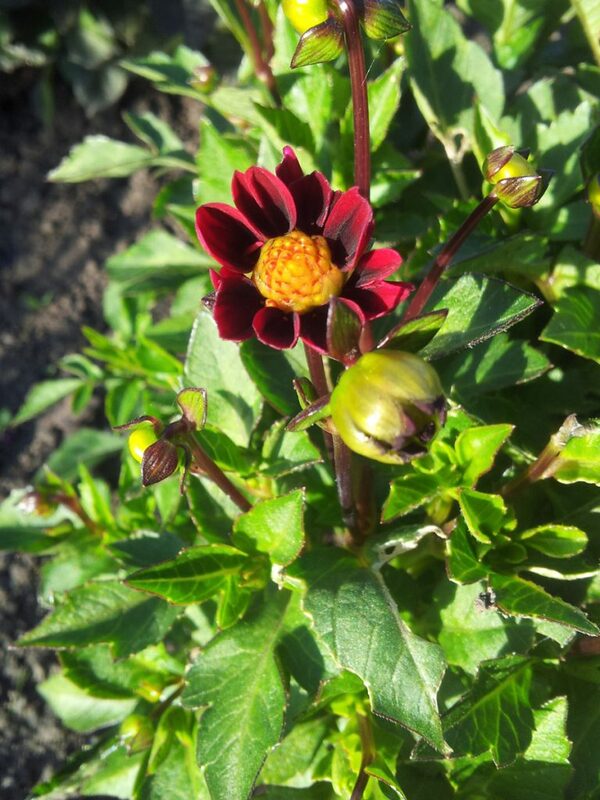 The three ‘topmix’ cultivars – ‘red’, ‘purple’ and ‘mama’ – have been the first to flower; we’re still waiting on ‘Christmas Carol’ and ‘Don Hill’ to do their thing, but buds are showing on both, so it shouldn’t be too long. Dahlia ‘topmix purple’ has a lovely gradation of colour from almost-black, through deep burgundy to almost-pink. 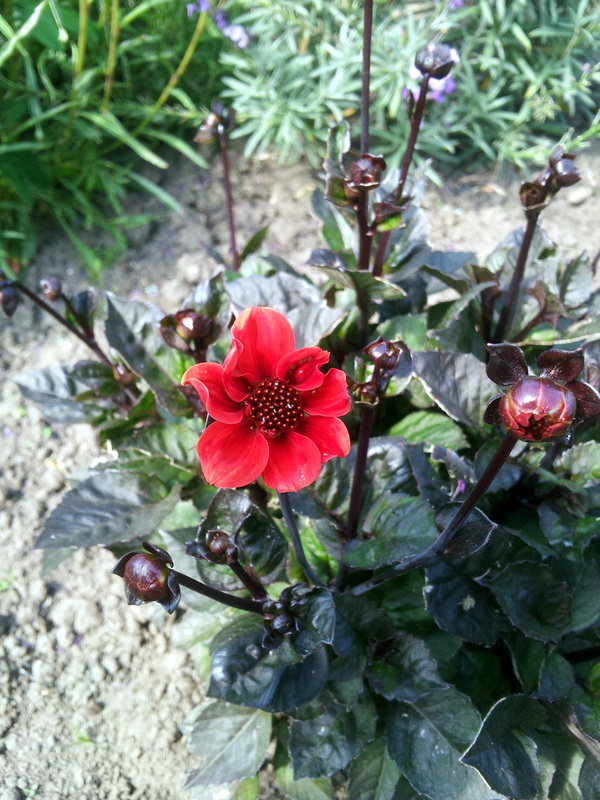 Dahlia ‘topmix mama’ has dark green foliage and bright red flowers. 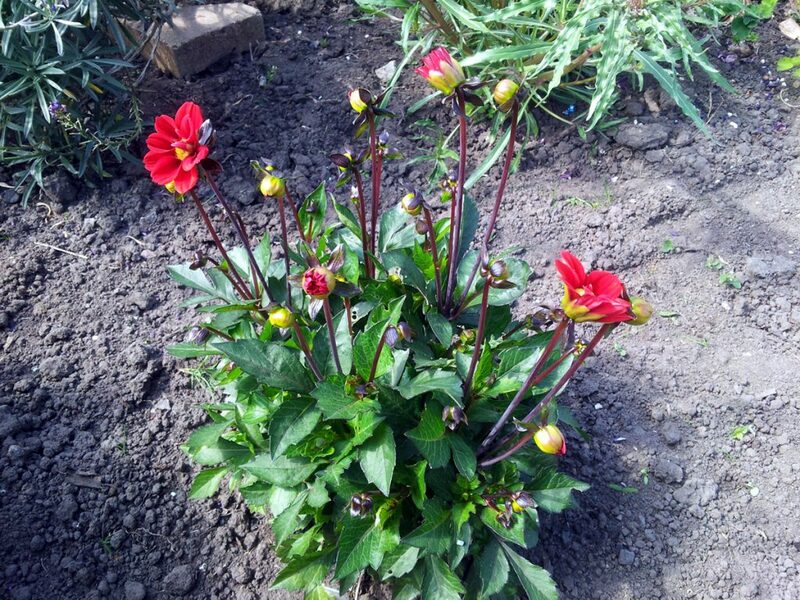 Dahlia ‘topmix red’ is a splash of bright scarlet and yellow against a vivid green leaf.